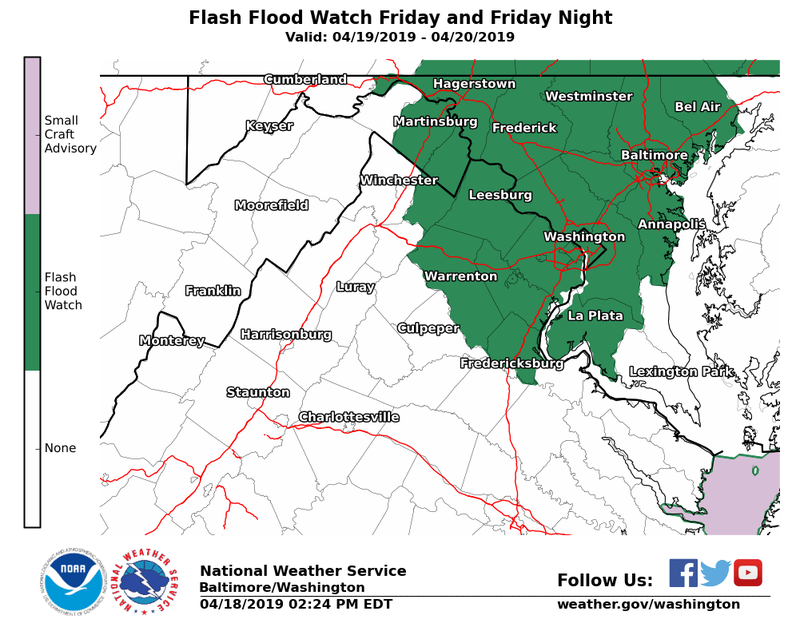 The National Weather Service says a Flash Flood Watch is in effect for the areas in dark green starting this afternoon and continuing through tonight. Thunderstorms with heavy rain may cause flooding. 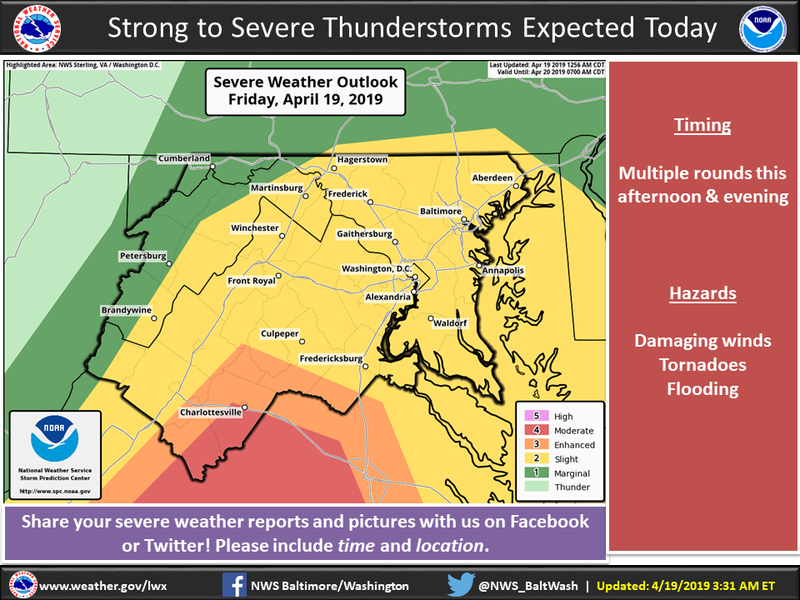 The National Weather Service says severe weather is likely this afternoon and evening. Damaging wind gusts could become numerous and significant, especially across central Virginia. 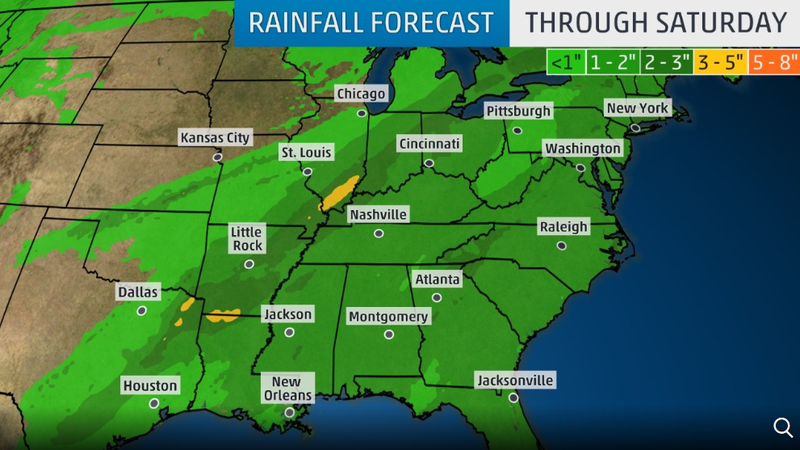 Tornadoes and flooding rain are possible, as well. 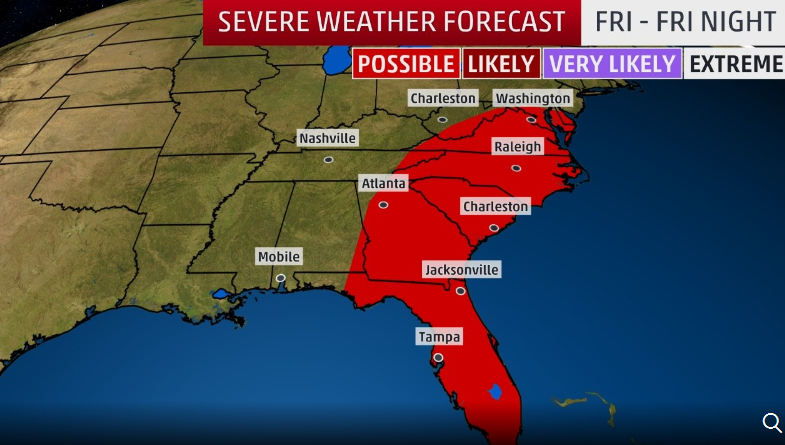 The Weather Channel says the region could again see rain beginning Thursday night. 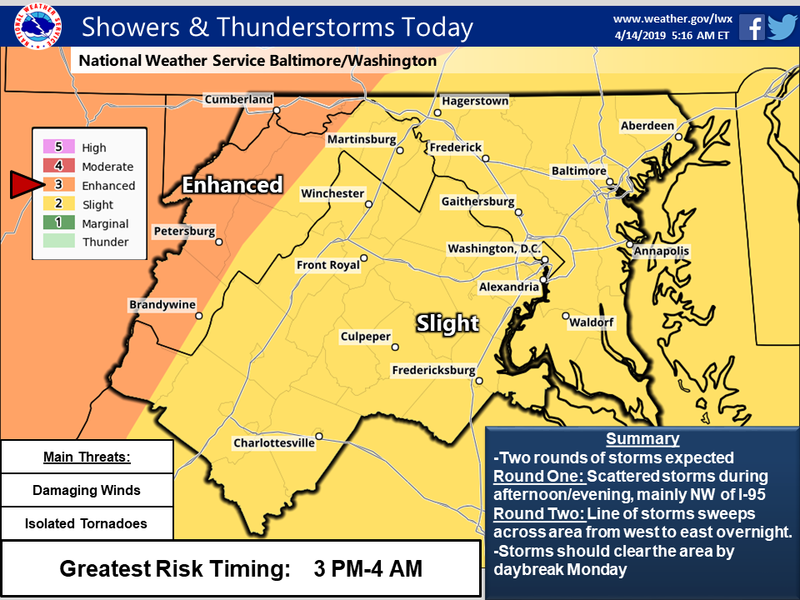 The National Weather Service says virtually the entire Mid-Atlantic has a risk of severe weather later today into tonight. Possible threats include scattered damaging wind gusts or a tornado, as well as isolated instances of flooding. 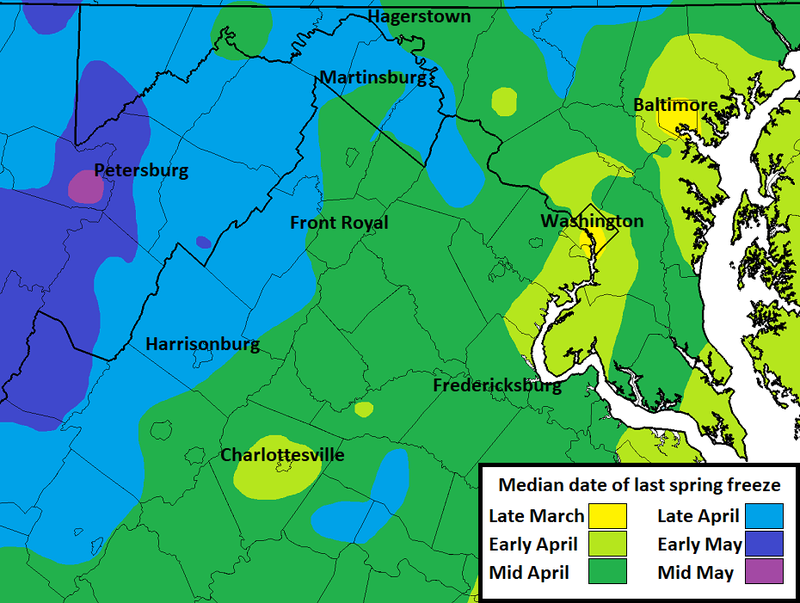 A National Weather Service map says it’s offically time to welcome the growing season….